Dexter-Russell Knives makes some of the best fishing knives in the world! Over the years, hundreds of thousands of fishermen have chosen Dexter-Russell fishing knives. Their knives are constructed of high grade materials, hold up well over time and resist corrosion in saltwater. Great for filleting fish, or cutting up bait. 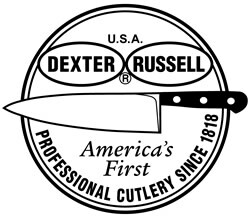 If you are looking for a quality fishing knife, then it has to be a Dexter-Russell!